But how does Easy Cash Club really works? What if I told you that there is a real and true method to make money online! I receive daily emails about different systems and products. I received one this morning that said it had a point and click system to make fast income. It involves using a point & click System designed to make “fast income” from Affiliate Marketing. The reason it’s controversial is because of the secret $480 MILLION industry it exploits. I’ll be amazed if you’ve come across this before. Of course, I was curious to find out what this system had to offer so I clicked on the link and was directed to their sales page. Right away, I was greeted by a claim on their sales video that you can make $2,000 per day with this system. I don’t know about you, but when I see this kind of statement, I really get suspicious. Making $2,000 per day is a really BOLD and “controversial” claim! However, before I start, l want to direct you to my No.1 recommendation to create a REAL and sustainable online business. Owner: “Steve Johnson” I am not sure who this guy is. We don’t see his face and I could not find anyone under that name that was claiming this system as theirs anywhere online. 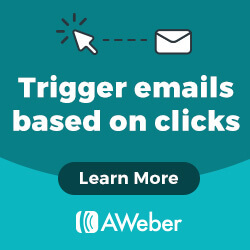 Just the name itself points to a “get-rich-quick” method, and I would not be surprised that it is in fact just another overhyped ClickBank product. This is most probably the kind of system that promises riches for little or no work like many other systems I have reviewed. Here are a few similar systems that claim the same thing: Cash Formula and Ecom Cash Crusher. So, according to the sales video, Easy Cash Club was created by a computer programmer named “Steve Johnson”. As I started to watch the sales video, I was instantly convinced that this was one of “those” videos. If it’s the first time you watch one of these, let me tell you that they will make it a big fairy tale, and they will hype everything up just like a lot of ClickBank’s products I have reviewed before. First, there is a huge amount of “cash” that you can generate with their system, and this video flashes a lot of it! And repeatedly! He says that he hardly ever works because his automated, “all-done-for-you” software does all the work for him. Notice how the figures on his 1,003,850.90 are not even? Well, this is obviously a “photoshop” thing here. There are easy ways to change anything on a website by doing some changes in the page source. This is probably what was done here. I have a PayPal account and I know for a fact that it’s not personalized by saying something like “Welcome, Steve Johnson” or anything like that. It’s not personalized at all. So we can qualify this image as FAKE. Then we have the multiple testimonies at the bottom of the video. Again all FAKE. This system even has the audacity to steal images of real people from a research website called researchgate. But by doing a little research, here is the real person behind the fake testimony. He’s from the University of Illinois, Department of Psychology!!! As you can see there is nothing real in the sales video and the sales page itself. Everything is either pure hype or just plain fake! There are multiple other testimonies, but they are also just stock images and also FAKE. I did not show them here, but just the example of the University person being portrayed as a member and user is enough to say that this system is really hyped-up and full of false promises. I think you get the “picture” here (pun intended)! OK, now that we have established that the sales video is full of fake testimonials and hyped up claims, let’s see if it’s actually worth trying at all. In retrospect, this system is supposed to use some kind of special and secret software that uses AI (Artificial Intelligence) and takes text and/or audio files and then creates a video that you can upload on YouTube. This is supposedly all done automatically and very easy to use. From there, when you post a video on YouTube, you are told that you will make money using both Affiliate Marketing links that you insert in the comment section of the video and Google AdSense. There is, however, something that is not mentioned in the sales video though. First, you need to have a YouTube account. But did you know that YouTube has a program threshold that you need to attain before you can start making money with the “YouTube Partner Program (YPP)”? As you can see, you need at least 4000 watch hours in the previous 12 months and 1,000 subscribers in order to be eligible. They fail to mention this in the sales video. We also have to factor in that being on YouTube and creating revenue from it, is not something that is easily done! It’s NOT the easy way to riches! Even if this software helps you create some videos easily, will they ever be watched by anyone? READ Instant Payday Tricks [Review updated Dec. 2018] - Make $800 an hour or just another scam? According to professional YouTubers, it takes a lot of “views” to make money – they say that the average money made is between $1 and $7 per 1000 views. This is usually made through Google Adsense. But not all videos will show an advertisement, and as I mentioned earlier, you need a big following to be even eligible to make money. It’s just like anything else, there is no easy way to be rich, you have to be prepared to put in the required effort and work. To make $2,000 in a day like the sales video said, you would need at least 285,000 views per day, and that is at the best scenario of $7 per 1000 views. No automated video making software is going to make you $2,000 per day right from the start. It’s simply not possible! The professional YouTubers that make thousands of dollars per day have been at it for years and years and they gained a following of fans by creating unique content that people are interested in. And they get millions of views! Now imagine a video that has been created by software that has translated text to some sort of generic video, with no interaction by a real person and no personality whatsoever, only a few images and some text. Do you think that it will ever compete with these professionals? There is also the fact that, according to “Steve”, this AI software will mimic the human voice from the text that you have entered into this special software. I have seen these kinds of videos and the voice is barely one of a human, and I personally don’t like it. I just leave the video when I see one. Well after the initial $37 you will be hit with three upsells, the first is $97 plus $7 per month thereafter, the second upsell is for $77 and a third for $47. That could bring the total cost to over $250. If I had to give this one a summary, I would say that it’s full of empty promises like making believe it’s an easy way to make money online, without any experience and with little or no work. 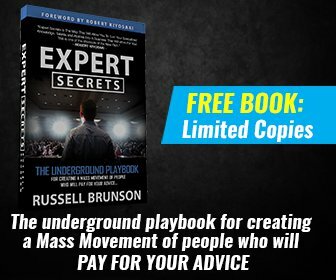 I can tell you from experience that, even though it may be possible to make “some” money eventually with this system, it will not be as easy as they pretend it to be. It is just another “too good to be true” system. Being sold on ClickBank it has a 60 days money back guarantee if you are not satisfied. There isn’t much else that I could find that would be positive at this point. Fake Testimonials, even images from some University of Illinois person. Fake Owner – Who is Steve Johnson and why can’t we find anything about him owning this system anywhere? False scarcity, they pretend that this “sales page” will disappear in a short period, which is not true! Check again next week and it will still be there! If you eventually decide to purchase this system and expect to make the kind of money that they say you can make with it, then I have to say that you will most probably be disappointed. I have exposed everything that is fake about the system but I leave it up to you to decide if it’s for you or not. That being said, the question on everyone’s mind: Is it a scam? It depends on how you see it. The reason I say this is that the definition of a scam is a “fraudulent online business scheme”. If you take all the fake and the hype out, then you cannot say it’s a scam because you do receive a product/software for the price you pay. Also, the fact that you can get your money back is another factor here. In my opinion, these kinds of systems are what I call “VERY LOW-QUALITY” systems. So there you have it, folks. The ball is now in your court. 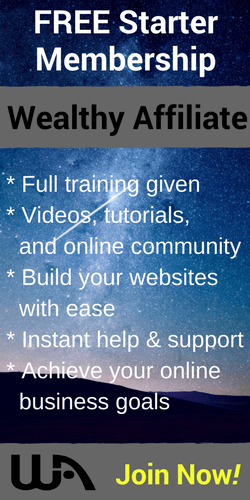 Are you ready to create your own money-making website? If you are serious about learning how to make real and honest money online, without all the hype and fake, then the platform that I have been using for the past three years, and that has made it possible for me to make a passive income with it, is the real deal! It’s 100% real and nothing fake or hyped about it. It is actually a community, not a platform. You will be greeted by thousands of like-minded entrepreneurs who are also creating their online businesses, and we help each other along with the fabulous step-by-step video format training. You can get a FREE account by clicking the button below. This is a completely Free starter membership, and with it, you will get video training and 2 free websites hosted right on the platform, that is yours to keep for as long as you are a member. NO credit card is required for this, just enter your email and you are on your way to creating your own online business. You can get your own Free copy by clicking on the button below. When you join you will get all three and will also offer you my personal support from within the platform! As always, if you have any questions or want to leave a comment, please do not hesitate to use the comments section below, I will happy to assist you in any way I can. You are absolutely right! For someone to make $2,000 per day is not impossible, but not with a $37 system. Youtube is a legit way to make money, but it’s not possible to start and make 2 grand a day right away! It’s simply fake and hyped up statements to make you buy their system. Thanks for stopping by and commenting on my article!